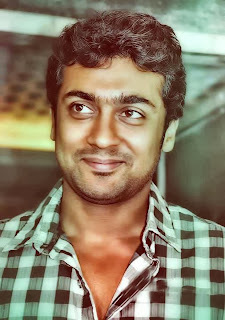 Surya – The Nadippin Nayagan has been stole everyone’s heart from Childrens to adults with his amazing caliber to act as well as a good human with his ‘down to the earth’ activities. As all of you know, now Surya is the one of the actor which every producer can safely put their money on. After Super Star Rajni Kanth & Ulaga Nayagan Kamal Haasan, it’s our Nadippin Nayagan Surya who is trusted by every directors as well as producers who can safely bet their money on big-budget films. Films like 7Aum Arivu, Maattrraan & Singam2 shows us this big-deal. No other actor in K-town was able to make their movies as successive ventures. So, the equation too get bigger and bigger while producers are happy to produce films whatever it was small or big budget movie with Surya. The Kollywood’s trend setter Nadippin Nayagan Surya now the second actor after Super Star Rajni Kanth to get big salary for every film. Also the satellite rights of Surya’s movies are growing at full swing. The Latest News Reveals that Nadippin Nayagan Surya’s Upcoming Untitled Movie with Director. Lingusamy was sold at record price about 15 Crore. Surya is not the actor who is in “Top 3 Actors – Having biggest Fans”. But the movies of Surya getting bigger response like those actor’s films that have Mass fans. So, what is the logic in it? Simple, As I already said, Surya is loved by everyone which starts from Childrens To Adults. He can give Mass opening at theatres as there are lot of Die-Hard Fans are everywhere to see him in new movie with new concepts. That’s why Surya’s Singam2 now holds the record of “Biggest Film Ever Released in Kollywood” beating Super Star Rajni Kanth’s Endhiran. I heard that people are comparing Bollywood Star Aamir Khan with Kolly Star Surya. Lot people said “They Have similar way of acting”. Yes, Aamir Khan is the one who select the script very carefully, also called “Perfectionist of Bollywood”, Like him Our Nadippin Nayagan is the “Perfectionist of Kollywood” by selecting scripts very carefully. 1. Rajni Kanth is the one who is mostly like to entertain his fans with his MASS movies. 2. Kamal haasan is the one who is like to do mostly CLASS films. Surya can act in Mass movies like “Singam2” by acting as a furious cop and also can act in class movies like “Vaaranam Aayiram” by acting from 16 year old boy to 60 year old Man. At 90’s Kamal Haasan was a trend setter in Andhra Pradesh, After that no one get a big response for their films in Andhra. Now, only the films of Surya & Rajni are recognizing there and getting same response as their mother land. 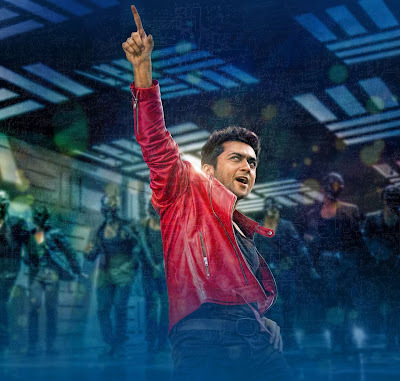 So, it’s confirmed that it is time for Suriya! Your comments Will Be Appreaciated !